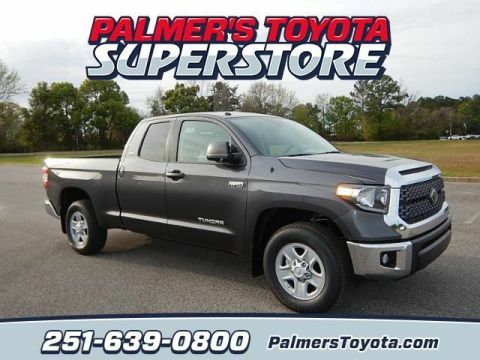 Daphne drivers in need of a full-size pickup truck have plenty of reasons to check out new Toyota trucks, especially the new Toyota Tundra. 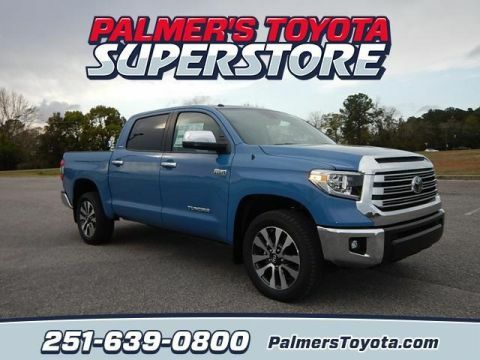 Winner of recent awards like Kelley Blue Book’s “Best Resale Value: Full-Size Pickup Truck,” the Tundra also boasts confident towing numbers, available four-wheel drive (4WD), and an available 5.7L V8 engine that puts out a robust 381 hp and 401 lb-ft of torque. 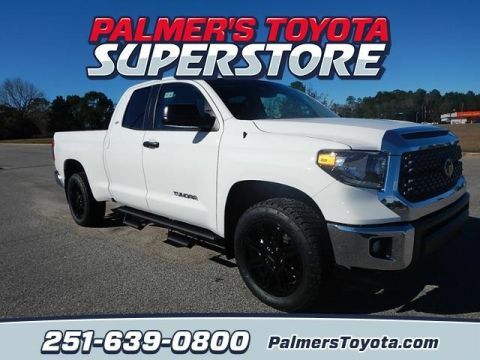 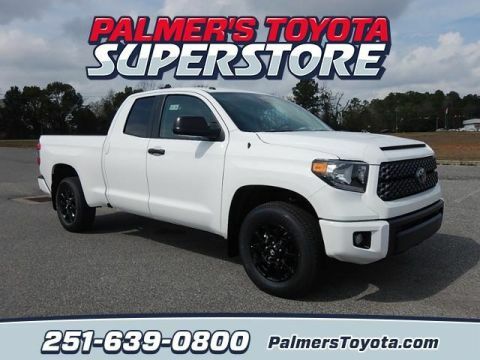 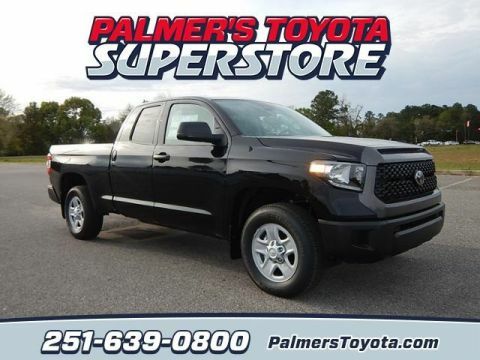 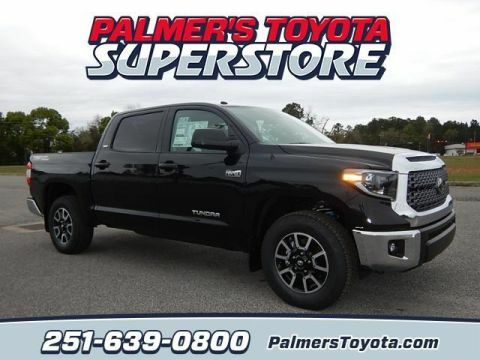 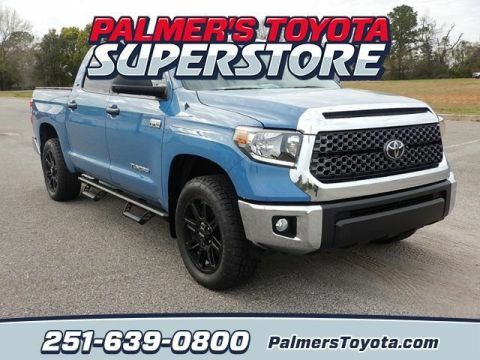 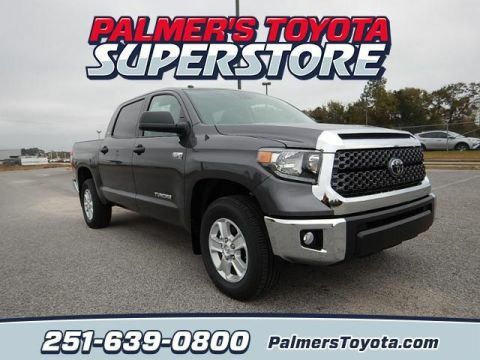 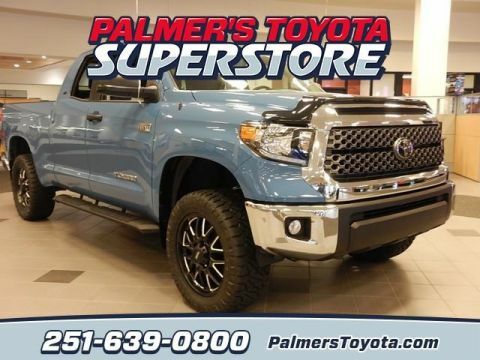 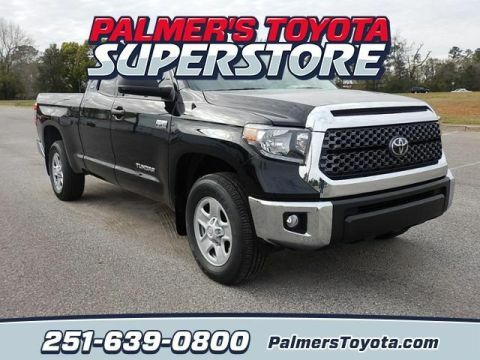 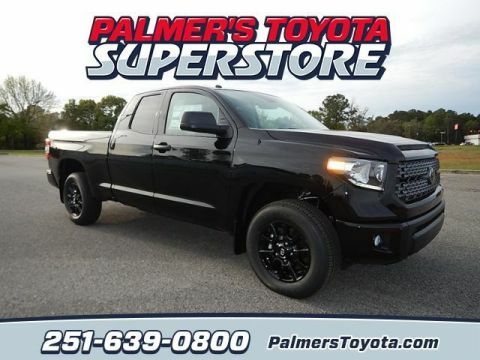 The new Toyota Tundra has everything you need for the toughest jobs near Pascagoula, and Mobile drivers can find it today at Palmer’s Toyota. 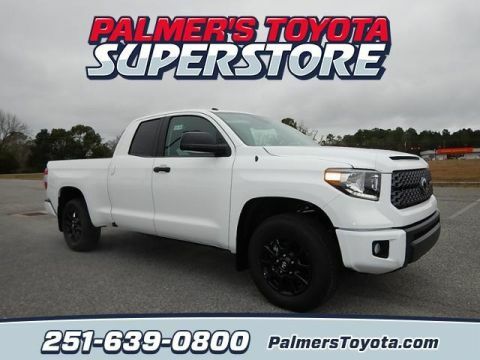 White 2019 Toyota Tundra SR5 RWD 6-Speed Automatic Electronic with Overdrive i-Force 5.7L V8 DOHC 32V LEV NEW ARRIVAL!!!. 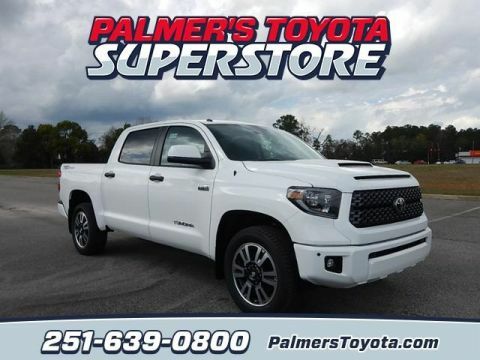 White 2019 Toyota Tundra SR5 4.6L V8 RWD 6-Speed Automatic Electronic with Overdrive 4.6L V8 DOHC Dual VVT-i 32V NEW ARRIVAL!!!. 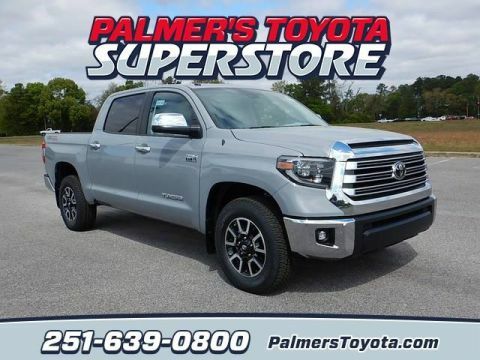 Gray 2019 Toyota Tundra SR5 RWD 6-Speed Automatic Electronic with Overdrive i-Force 5.7L V8 DOHC 32V LEV NEW ARRIVAL!!!. 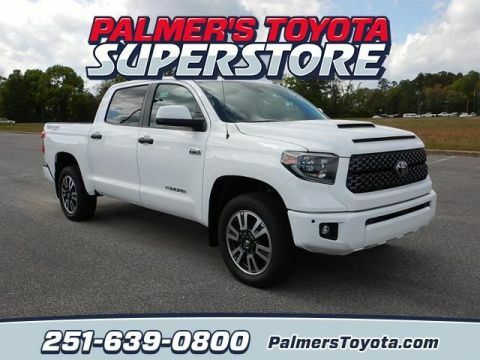 White 2019 Toyota Tundra SR5 4WD 6-Speed Automatic Electronic i-Force 5.7L V8 Flex Fuel DOHC 32V LEV NEW ARRIVAL!!!. 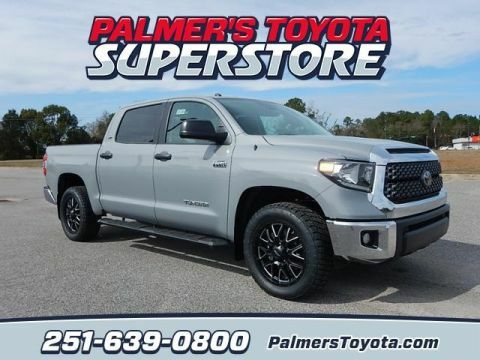 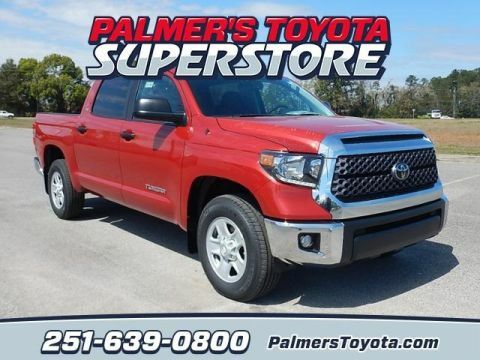 You can find the newest version of Toyota’s full-size pickup right now near Daphne at Palmer’s Toyota. 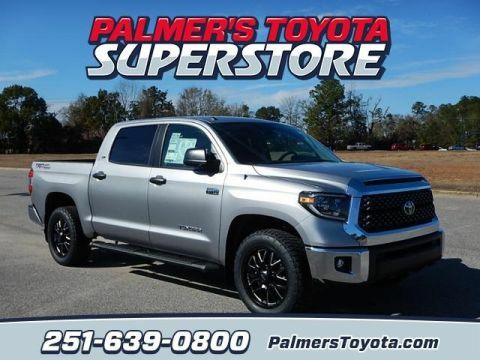 There are plenty of reasons people choose to shop with us, including competitive financing rates, our extended business hours across every department, and our reputation as a Toyota President’s Award Winner for over 20 consecutive years! 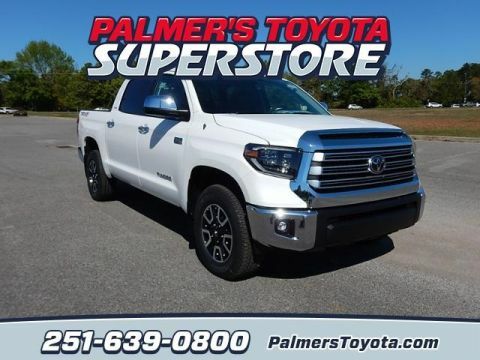 So visit our Mobile dealership today to check out the new Toyota Tundra’s impressive performance for yourself, alongside deluxe features like standard Toyota Safety Sense™ P (TSS-P) and the Entune™ Audio Plus system with Connected Navigation and App Suite. 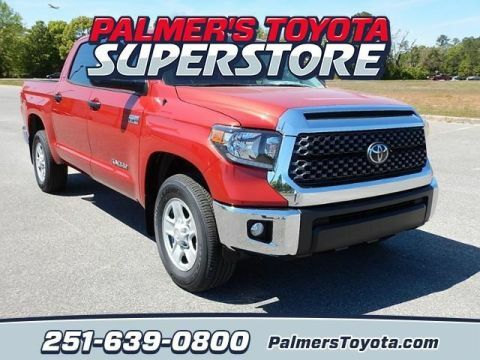 If you have questions for our team, don’t hesitate to give us a call at any time.